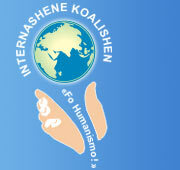 Speech at the 9th conference held by the International Coalition "For Humanism!" Distinguished Chairman, distinguished colleagues, friends, companions! Let me welcome you personally and as a head of The Humanist Youth Union, the organization which has done much for the conference to be held. The previous year I made the report called “The crisis of civilization produces the crisis of informational technologies”. It was much spoken about. In particular, some people felt vexed that I didn’t pay attention to the humanist tendencies in the sphere of IT. Today I’d like to fill this gap up and present my own vision of both the humanist tendencies in this sphere and of its role in the coming humanist epoch. First of all, we should fix the essence of humanism. This will help us to see the criteria of phenomena assessment within IT more clearly. To be laconic, we treat humanism as the outlook, in the centre of which stands a man with all his features and virtues. Therefore, humanists have always been standing up for all the people to get all-round, full-fledged development and be free to display their personal abilities to the good of society. It’s not the total sum of truly humanist IT possibilities as this sphere has a great continuously growing potential. But it’s well-known to schooled specialists that these possibilities aren’t used to the full. We’ll pay a proper heed to those, which are however being used. Unfortunately, there’re not many of them to be expected. One should know the ropes in the sphere of IT to make them out. Spontaneously discovered and impetuously developing, the sector of freeware is one of the most outstanding and truly humanist phenomena in the sphere of IT. In some domains freeware surpasses commercial analogs in terms of safety and functional characteristics. It’s often delivered together with open source software created in high-leveled programming languages. With its help other programmers can easily find and correct mistakes and by taking part in creation of these programs, adapt them to their personal aims. Unfortunately, freeware is comparatively rare in home and office use. I consider it to be the consequence of mass commercial ware advertising, which goes hand in hand with discredit of free as “incredibly perplexed” and “potentially dangerous” for an amateurish user. This process is financed by ware-tycoons, who are afraid of competition with non-commercial analogs. If we look at the ware-market from the professional point of view, we’ll see the other side of the medal: some fields have almost completely switched to freeware, considering it as more safe, easier to adapt and dynamically developing. Free operating systems (OS) “Linux” and “FreeBSD” exemplify first successful non-commercial projects. The greater part of Internet-servers is based on them. They have always surpassed well-known commercial OS of Windows-family in safety, flexibility and network-service development. If we speak about systems, which can be installed to the majority of personal computers, then the Open Office project is worth mentioning. It’s an open, free program package and its potentials are analogous to that of MS Office. Mozilla Project is called up to create a free “international” browser of high quality. It’s also a mail-agent for different platforms with open source codes. I should make it clear for amateurs that a browser is a program, which helps to read hypertext documents published in the Internet and a mail-agent gives you an opportunity to work with e-mails. These two programs are the most popular services in modern global net. If we speak about professional ware, we are to mention such well-known services as web-server Apache, database “managers” MySQL and PostgreSQL, programming language PHP, which is worked out to create dynamic web-sites. However, there’re even more projects on a free source code. How has it become possible in our century of a global commercialization and corrupt trade? To answer this question one should turn to the historical origin of the projects. In 1984 Richard Stallman founded GNU project and later Free Software Foundation. It was joined by the great number of projects, worked out to create free software: GIMP, GYVE, GNU Enterprise and some others. Richard Stallman is a talented programmer and how he’s become the cult figure among supporters of the open software. He tried hard to found a juridical base for non-commercial and open software. He also composed the text for General Public License (GPL), worked out in 1991. Exactly at that time the most popular and mass non-commercial projects, which I’ve already mentioned, started to develop. The existing net community (net-communities, to be exact) is regulated by a set of ethic norms, worked out during decades in net life practice. Strange as it seems, but often the general level of culture and humanity in everyday communication is much higher. For example, it’s quite normal when at net conferences and in forums people disinterestedly help each other to solve this or that problem. When I first experienced that, I told my older and dear colleagues about my discovery. They refused to believe me suspecting some trick in what I said. Many of these ethic norms have been worked out during the creation of the non-commercial computer network FIDONET. Unfortunately, what I’ve said generally belongs to special professional net communities. Hackers are the members of such communities. Nowadays in Mass Media and press the word “hacker” stands for a person who commits corrupt actions with computers, for example: unauthorized they enter into alien computer networks and get information from them; they illegally break software products protection open and copy them; they also create disseminate computer viruses, etc. What hackers do constitutes different components of criminal offence and civil infraction. Generally speaking, the word “hacker” is derived from the English verb “to hack”. This word has quite a number of meanings, among its basic ones are: to break, to shred. And in accordance with the professional jargon of programmers it means “to rule successfully”. The word “hacker” also means “a working horse” and in slang – “a racehorse”. In its original meaning “hacker” stands for a highly-qualified programmer, who’s able to find an unusual solution to a problem. Among true hackers, there’re real specialists. Their utmost desire is to help people in their creative work and self-realization by means of computer technologies. Today the word “hacker” is almost always used to denote a malicious, antisocial and surely dangerous person. The word is synonymous to the word “trespasser”, if used within net-terminology. The word “hacker” has also a romantic meaning. From this angle, it stands for a Robinhood of computer network. This definition is generally similar to the personal view of hackers. They think they devote their life to the unequal virtual war with computer tycoons for the global freedom and equal rights. There’s an accepted definition for professional trespassers. They’re called crackers (from the English word “to crack”). I’ll use the words in their original meaning. Such hackers as R.Stallman, mentioned above, create modern IT. Many of them have firm ideological principles. I don’t mean to say that they stick to humanism. No, evidently, in their work they lean on a liberalism of high quality. Strange as it may seem, but this way they promote humanist ideology. Among hackers and their followers there exists a wide-spread subculture, called cyberpunk. It’s a postmodern subculture with its own ideology. It’s based on an unequal war (often virtual) with technical totalitarism and global supersystems which suppress an individual. These computer “superpowers” are represented by supercorporations, secret services, techno-cybernetic monsters, etc. Historically, cyberpunk arose from one trend in American science fiction. This genre is widely presented by such blockbusters as “Terminator” and “Matrix”. There noble heroes wage war against the computer supersystems for global freedom. All these cinematographic “masterpieces” are characterized as antisocial. Heroes there are the members of criminal groups, they’re drug-addicts and, of course, mentally abnormal people. To some extent, cyberpunk is a quite natural phenomenon. But obviously, all these secret services, supercorporations, states, which cyberpunks are called to fight with, benefit from this ideology and subculture. Its intrusion is one of the ways to unleash informational war. Such an outlook facilitates to a greater extent to control and weaken hackers-marginals. By the highest standards, it’s a way to throw dust in the eyes of radically and technically oriented teenagers, youngsters. Thus, we clearly see the humanist tendencies and we realize their changeable character. Evidently, in the nearest future they will be booming and the global informational infrastructure (generally vicious), created to make people spend their money for nothing, will be seriously reorganized. The cited examples show that the work can be based not on money but on the need to make our common interests come true. We’re concerned that that’s exactly the living pattern of humanist society, spontaneously bursting through our modern wild capitalism. Neither need nor bean counter encourages people to participate in great non-commercial projects. But it’s the desire for self-realization, the desire to be the benefit for close people and for the whole man. The economic model of future humanist society promises to differ completely. Money won’t be its driving force because such a system has already gone to the past. Nowadays it’s silly and immoral to reduce everything to the question of money due to the progress in mathematical and social study. Objective news about our needs, based on a highly developed human study and appropriate data gathering systems with a flexible mechanism to take proper planetary decisions will be the base for the economic function in our society. I call for responsible high-qualified technicians and humanists to cooperate in the cause of human civilization transformation!